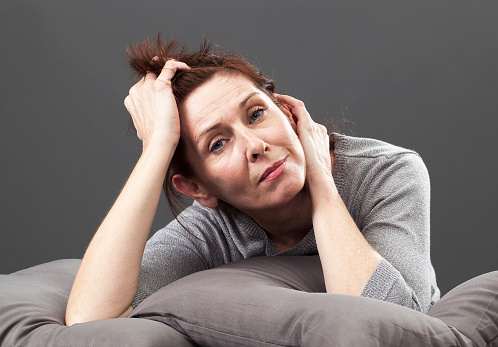 Did you know that the average age of onset for menopause in the U.S. is 51? However, some women go through menopause before the age of 40, or even 30, which is considered premature menopause. This could be because of various factors like genetics, illness, or medical procedures. While women suffering from premature menopause have to go through the regular symptoms of menopause—hot flashes, mood swings, tiredness—they also have to cope with additional physical and emotional concerns. The first sign would definitely be an absence of your regular period. Your doctor performs a physical exam and does a few tests to rule out other conditions like pregnancy or thyroid disease. Once these conditions are eliminated, your doctor may order blood tests. Low estradiol (a kind of estrogen) levels can indicate that your ovaries are starting to fail. On the other hand, a high FSH (follicle-stimulating hormone) level—above 40 mIU/mL—usually indicates that you are in menopause. While you cannot do much about some of these factors, there are some things you can do to delay early menopause. And if you’re already past this stage, taking these steps will definitely benefit your health overall. Exercising is one of the best things you can do to help delay perimenopause, as activity helps regulate hormones and maintain normal levels of body fat. Don’t overdo it, though. Excessive exercise can create a hormonal imbalance, causing irregular ovulations and possibly early hormonal depletion. The chemicals in cigarettes can speed up the rate at which you lose eggs. Unfortunately, once eggs die off, they cannot regenerate or be replaced. That’s why female smokers experience menopause one to four years earlier than non-smokers. Alcohol doesn’t induce early menopause on its own, but drinking too much can, perhaps, trigger it if you have other risk factors. You should also know that excessive alcohol consumption and even excessive caffeine intake can reduce fertility. Stick to no more than one cup of coffee per day, and two alcoholic drinks per week. Estrogen is stored in fatty tissue, so being overweight is a major cause of excess estrogen, which can lead to ovarian failure. Having said that, being underweight is not great for fertility either. Maintain a healthy height-weight ratio to reduce the risk of hormonal imbalance. Hormone replacement therapy (HRT) isn’t typically recommended as the first solution due to concerns with breast cancer, cardiovascular disease, and stroke, but given the benefits from an emotional and social standpoint, HRT is still considered the gold-standard treatment for early menopause. Talk to your doctor about your risks and see if this is a good option for you.